Custom Commercial Services — Binder Heating & Air Conditioning, Inc. Custom sheet metal design and HVAC services for commercial projects and businesses in St. Paul and Minneapolis, MN. Founded nearly a century ago as an architectural sheet metal shop, Binder Heating & Air Conditioning continues to provide a broad range of commercial sheet metal and HVAC services for local Twin Cities businesses. At Binder Heating, we’re large enough to serve all your needs, but small enough to care about the details on each individual job. 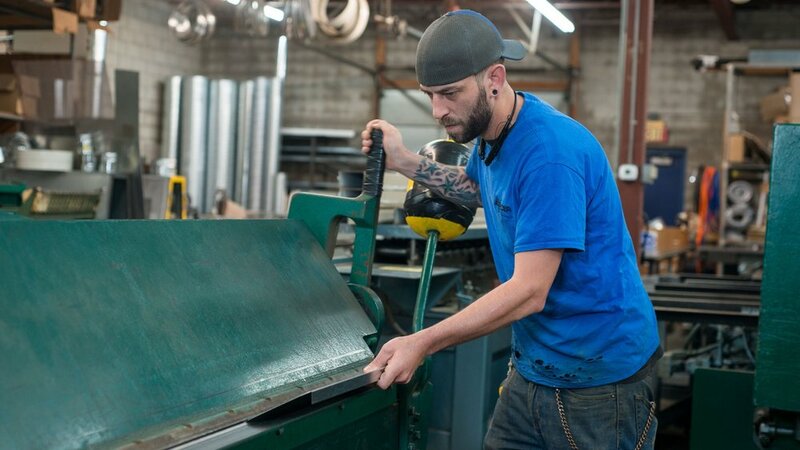 Our team of licensed, union gas fitters and sheet metal technicians can design customized parts at our sheet metal shop to fit any unique project requirement or specialized installation. Remodeling your current space or planning new construction for your business? Working with an HVAC professional from the start ensures your plans won’t need adjustments down the road to fit ductwork or other system components. Our trained specialists can help with project design to make sure your HVAC system is well planned, efficient, and affordable.